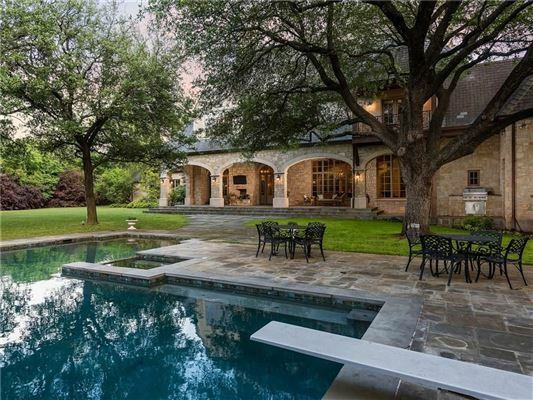 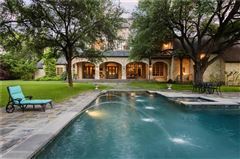 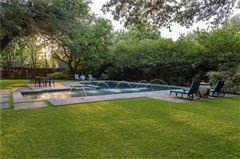 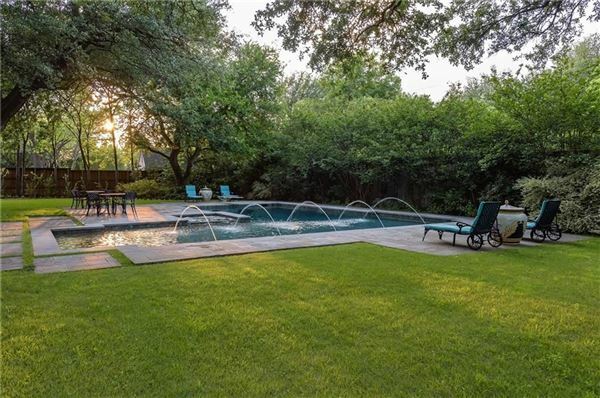 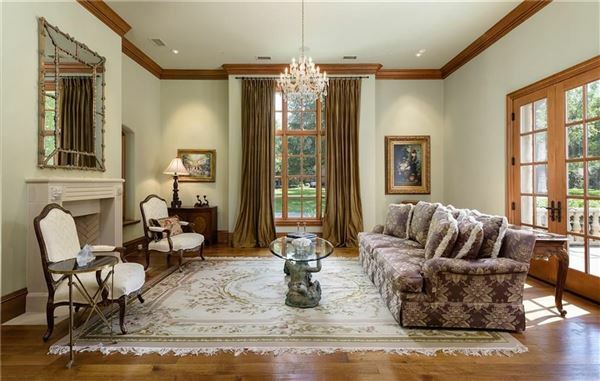 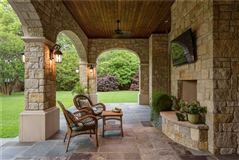 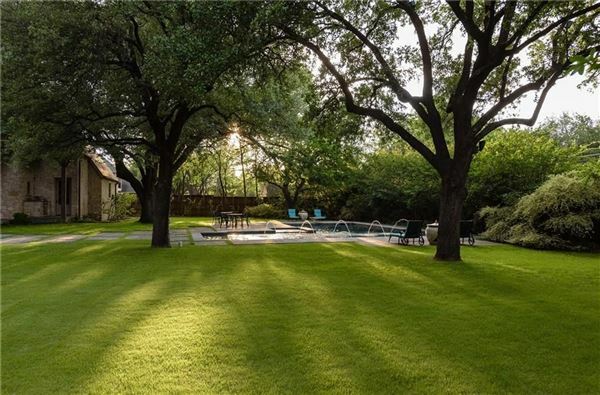 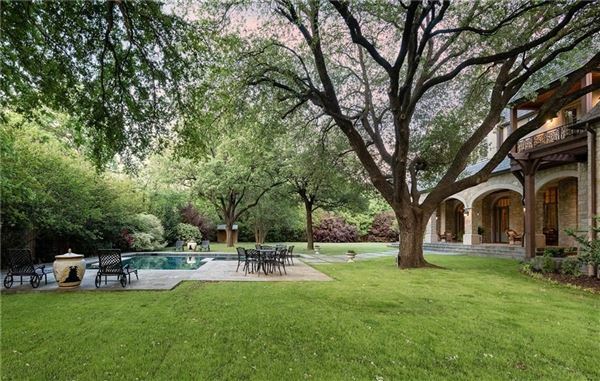 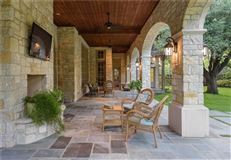 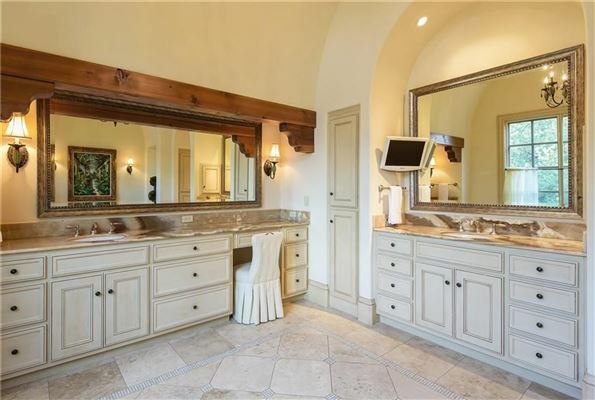 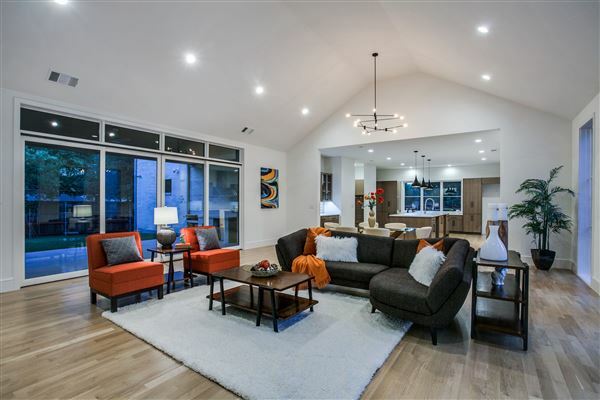 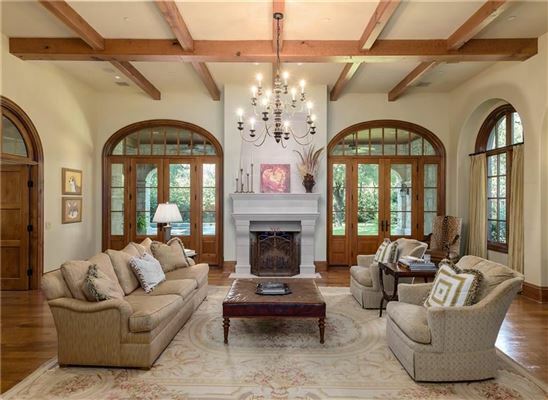 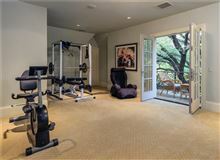 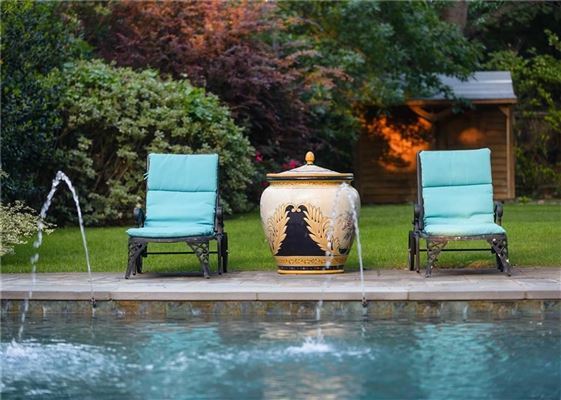 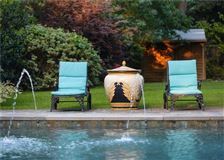 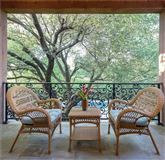 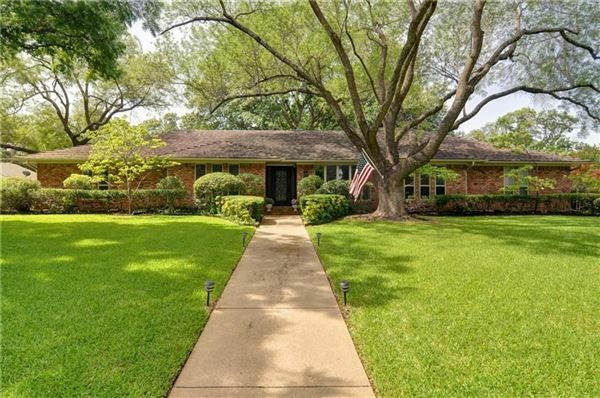 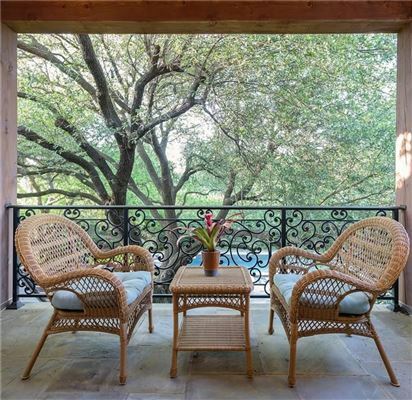 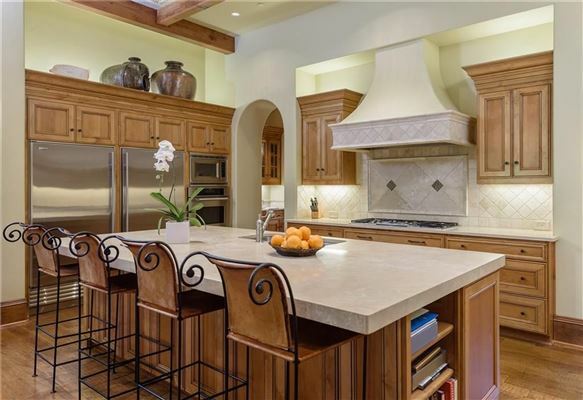 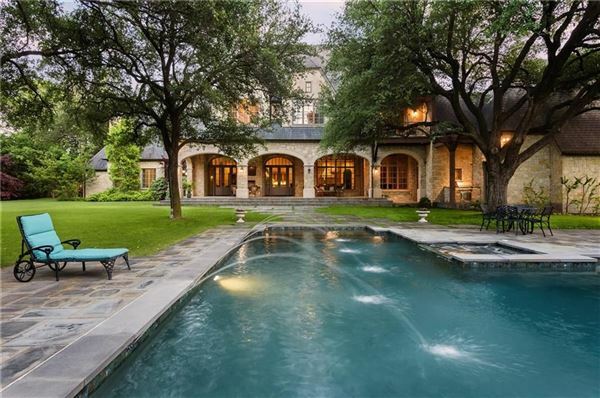 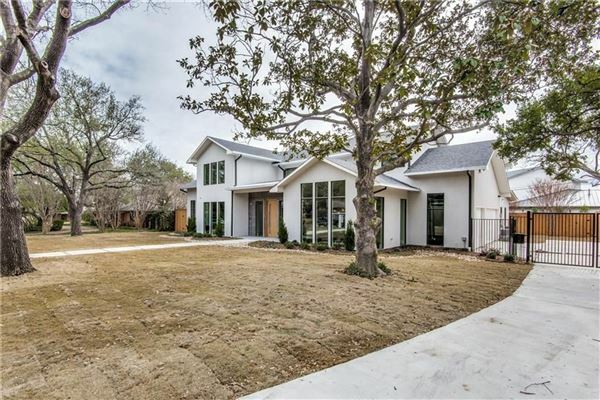 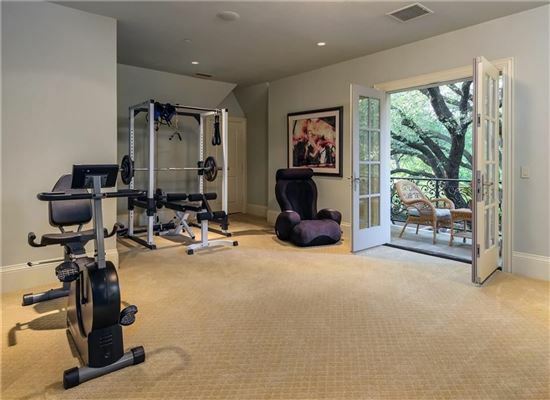 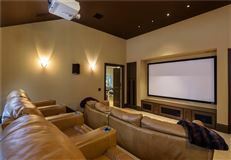 Impressive Preston Hollow estate in quiet Lobello Estates is sited masterfully on the 1.1-acre lot to offer a sports field sized back yard with salt water pool and spa. 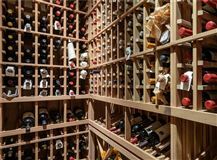 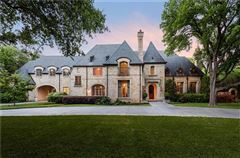 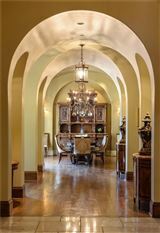 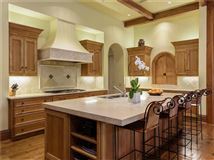 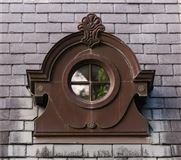 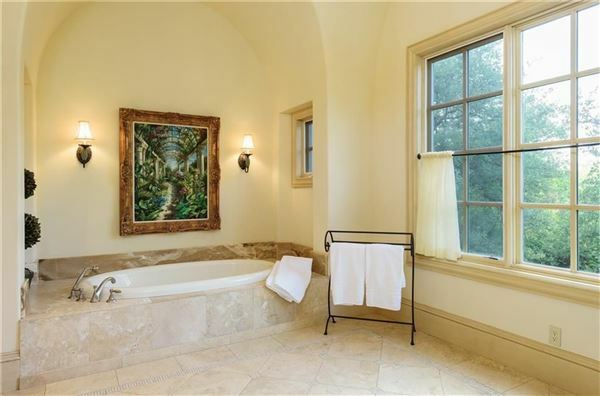 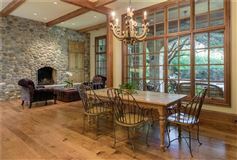 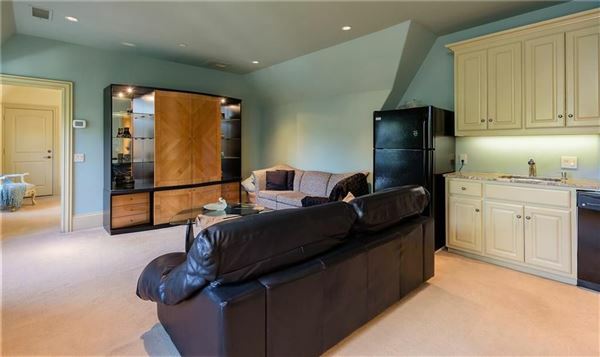 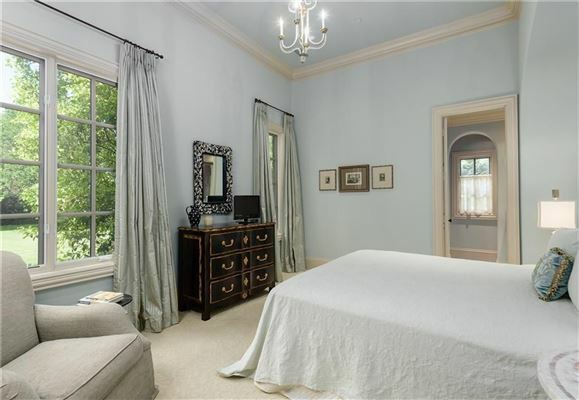 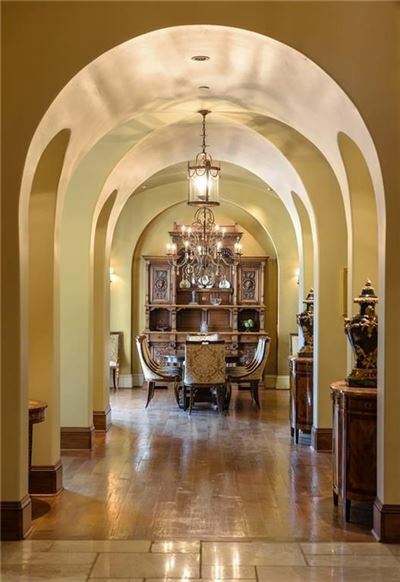 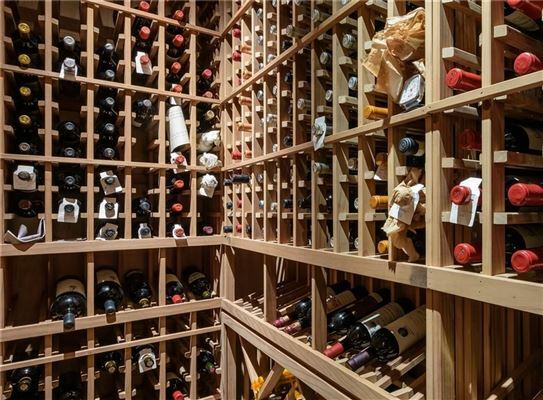 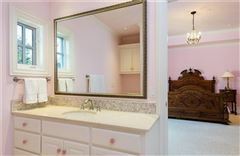 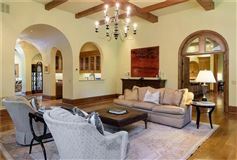 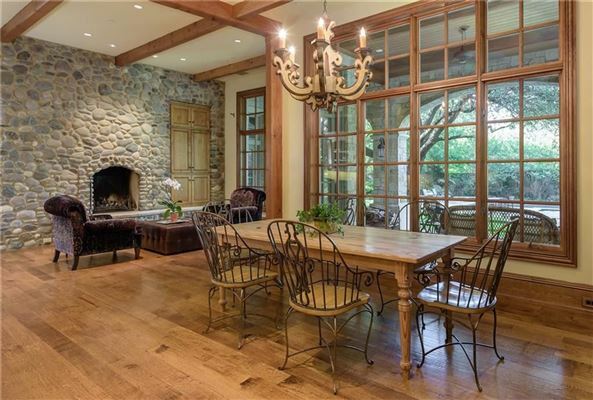 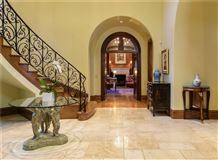 Designed by Clay Nelson and built by Alan Nixon, this Country French manor includes five bedrooms, 7.1 baths, elevator, five living areas, library, media, exercise, 1,200-bottle wine cellar, and four car bays. Expansive open living areas open to covered terraces overlooking the backyard oasis. 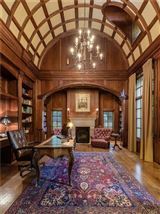 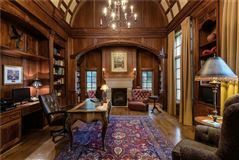 The Mahogany paneled library with barrel rolled cross beam ceiling highlights the quality of construction throughout. 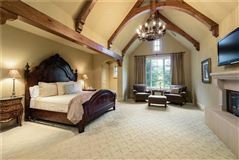 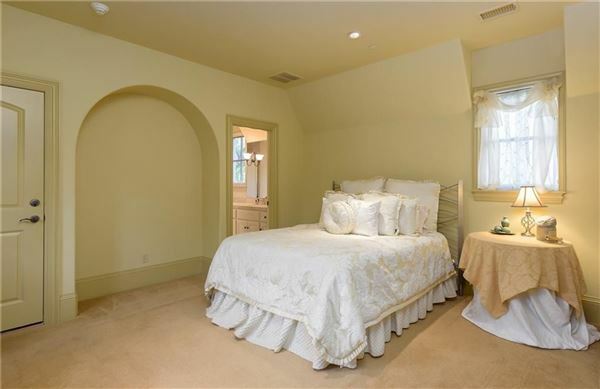 First floor guest bedroom, with four additional en suite bedrooms up, including the master suite and guest quarters with kitchenette. 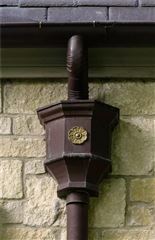 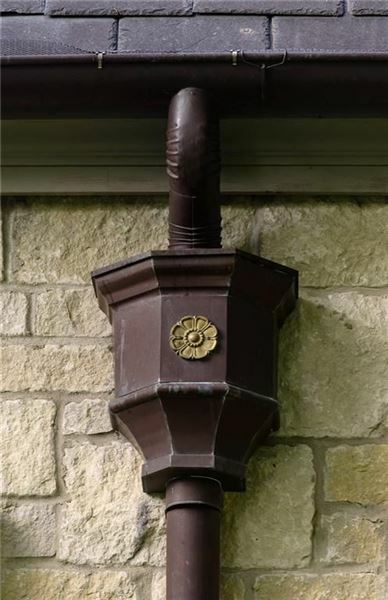 Geothermal HVAC (25 wells).